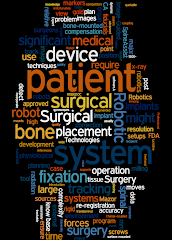 Based on the FDA application, a few more details can be figured out of the da Vinci X system. It is - again - cleared in the "Endoscope and accessories" category. FDA was recodr fast with the 510(k), since it was evaluated between May 02-26, 2017, and ruled as "substantially equivalent (SESE)". The robot's primary regulation specialty is gastroenterology. "At least it is cheaper. Wells Fargo analysts put the list price of the X at around €1.2m ($1.3m) compared with €1.9m ($2m) for the Xi. The service fee for both systems comes in at around €130,000 per year. The surgeon's console and video display system are interchangeable between the Sp, Xi and X patient side carts, so a hospital that already owns the Xi or X would not need to purchase these two extra items. The Sp is expected to launch in the US in the first half of next year, and Intuitive is counting on this built-in compatibility to increase the appeal of the X." "The interface console that the surgeon uses to control the robot is the same as on other da Vincis and the robotic arms are mounted on a side cart, like the da Vinci Si. The arms themselves are based on the da Vinci Xi which provide a longer reach and a narrower profile. 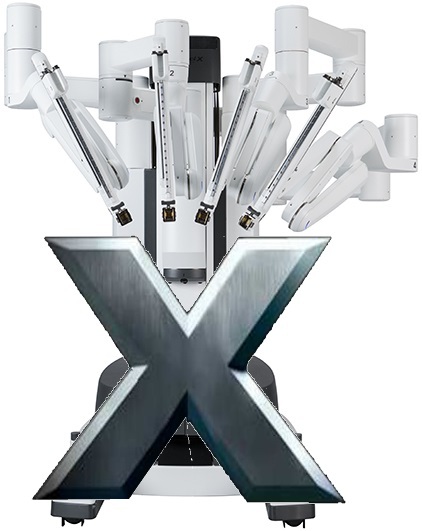 The da Vinci X also includes voice and laser guidance, just like the Xi, which helps during pre-op prep. What the da Vinci X is not meant for is multi-quadrant surgeries and procedures that require the company’s Integrated Table Motion capability."